Erasmus Law Review has issued a new call for papers! The deadline for submission is 10 June 2018. For more information, click here. Welcome to the Erasmus Law Review website. This journal seeks to foster independent critical scholarship as relevant to the discipline of law. It commissions articles around specific themes, although calls for papers on specific topics might be issued occasionally and will be published on this website. All prospective articles are submitted to double-blind peer review (two reviews per article), and final publication is dependent on the outcome of these reviews. The Editorial Board encourages the submission of legally relevant manuscripts by legal scholars and practitioners as well as those versed in other disciplines relevant to law, such as criminology, sociology, political science and economics. In handling commissioned articles and unsolicited ones, the Erasmus Law Review makes use of an online submission system called the Editorial Manager - please see Submit an Article for more information. Accepted articles are published online at www.erasmuslawreview.nl and on our publisher's website at www.elevenjournals.com. For more information or questions, please contact elr@law.eur.nl. 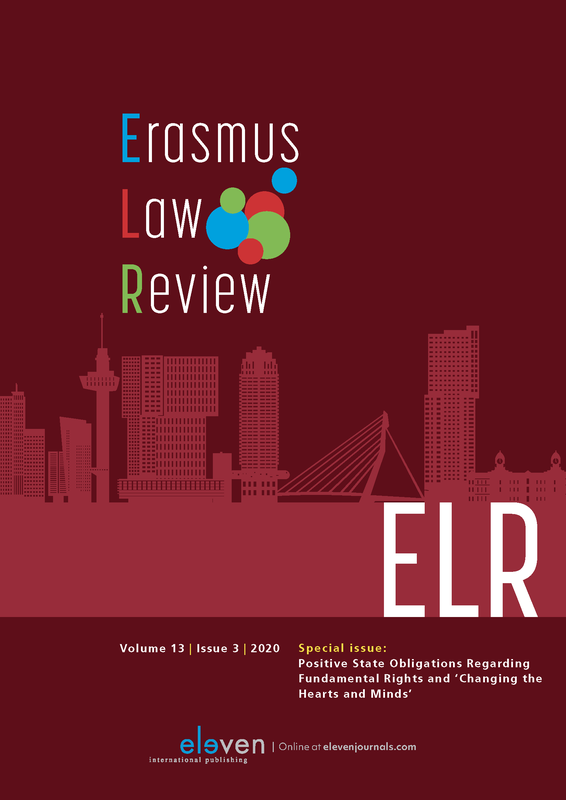 For questions or comments concerning Erasmus Law Review, please contact elr@law.eur.nl, or send an email to one of the other members of the Editorial Board. Ideas for articles or comments on our website are always welcome.